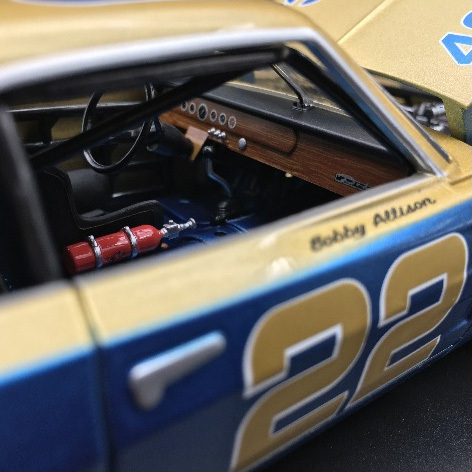 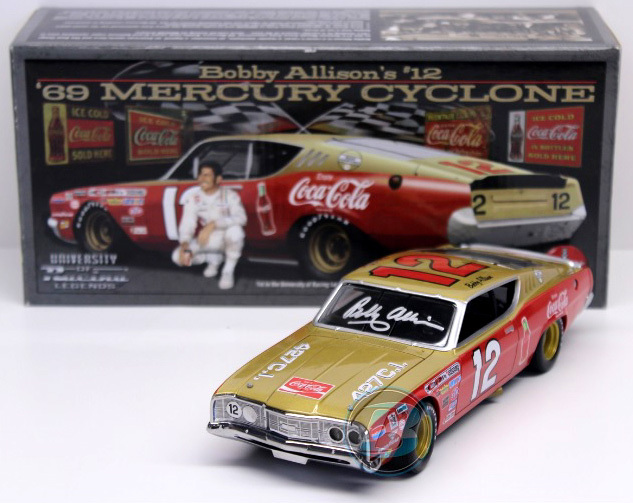 1971 Bobby Allison #12 Coca-Cola / Holman Moody 1969 Mercury Cyclone NASCAR diecast, by University of Racing Legends. 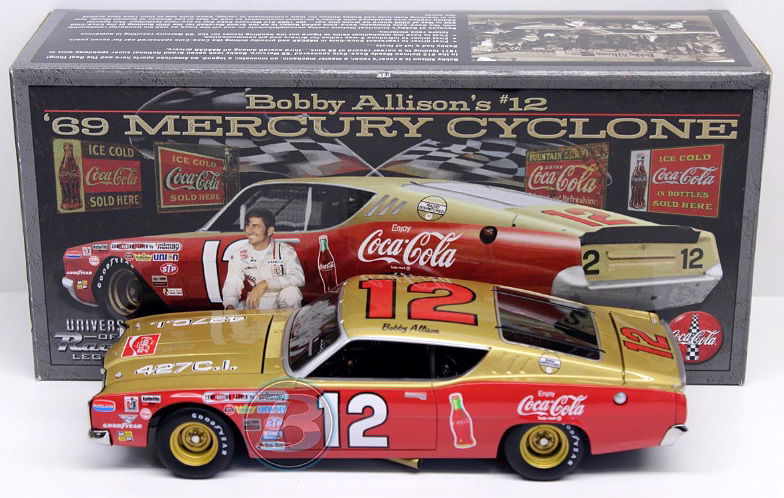 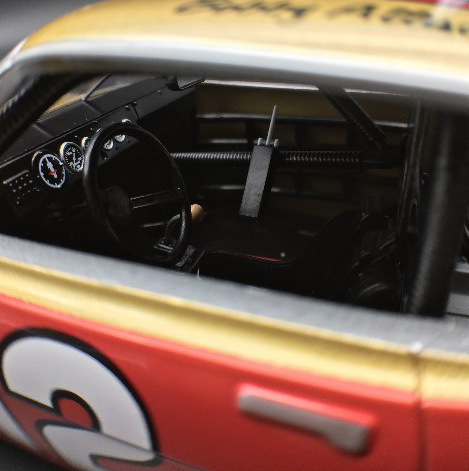 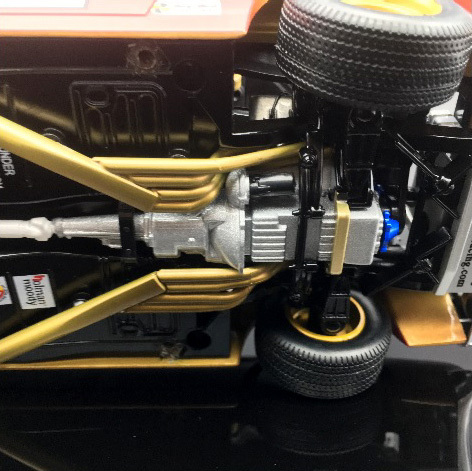 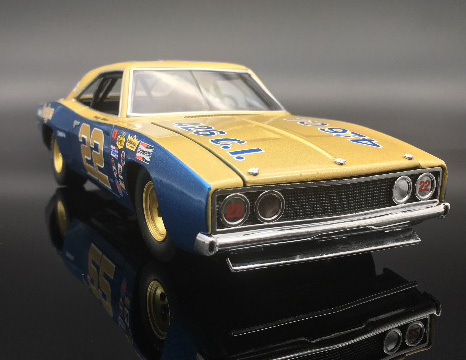 This #12 Coca-Cola '69 Mercury diecast was originally produced specially for the 50th Running of the Coca-Cola 600 in Concord, where Bobby served as the Grand Marshall of the event. 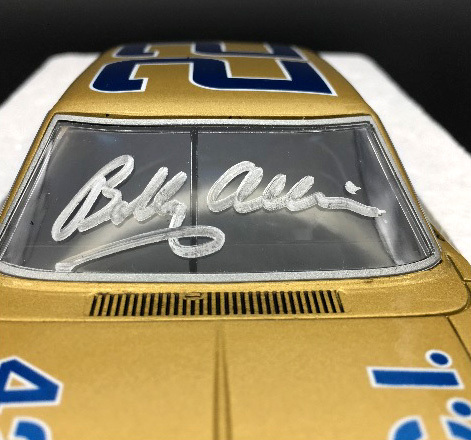 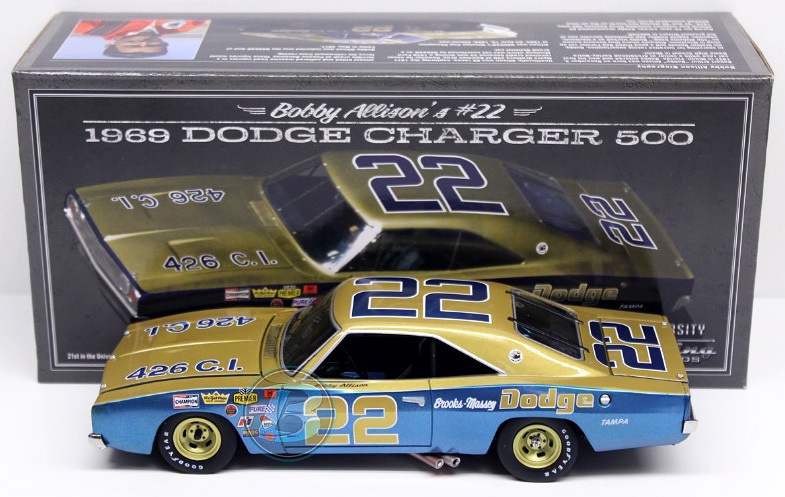 Autographed - This diecast car was autographed by Bobby Allison, on the windshield in Silver. 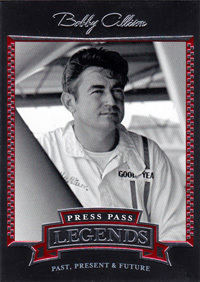 2005 Bobby Allison - Press Pass Legends NASCAR Trading Card, by Press Pass. 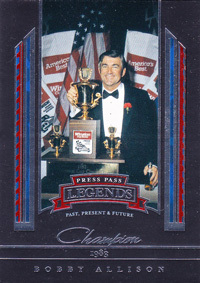 2005 Bobby Allison - Press Pass Legends / 1983 Champion NASCAR Trading Card, by Press Pass.